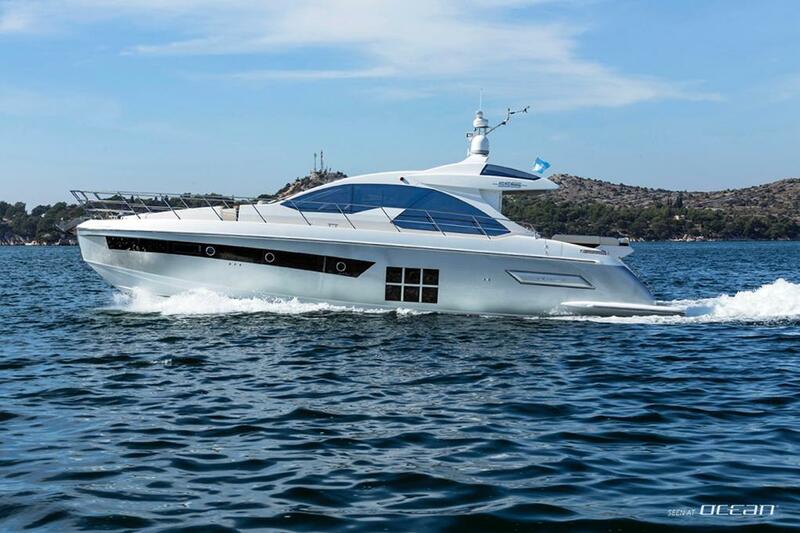 We are proud to welcome a brand new Azimut 55 S available for charter in Croatia. 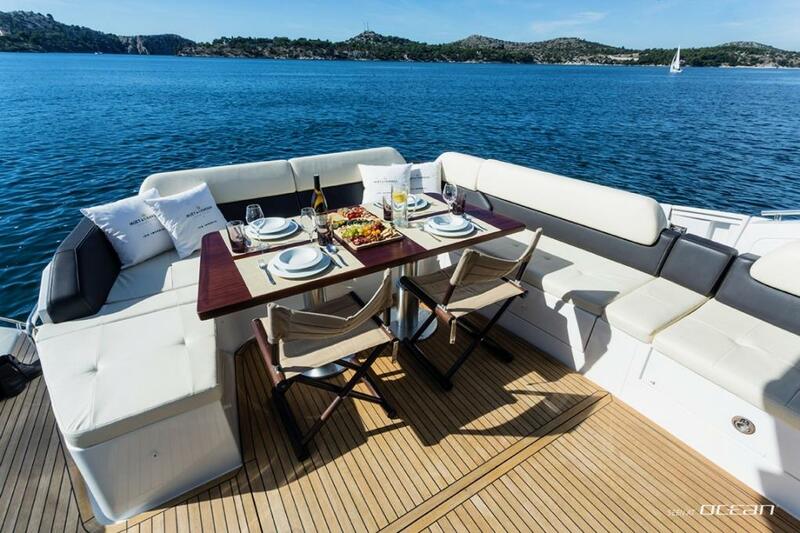 Starting season 2018 this 2015 built motor yacht is like new and comes fully-equipped with plenty of amenities. 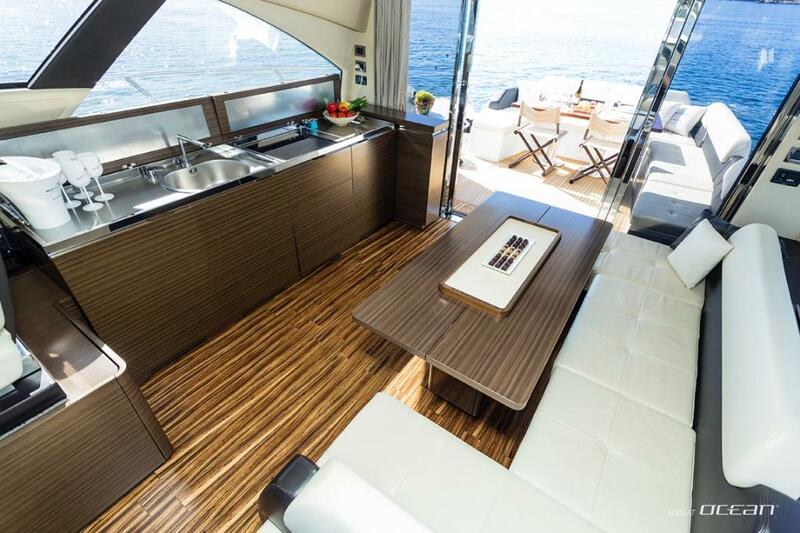 Designed by renowned Stefano Righini and interiors styled by Carlo Galeazzi charter yacht Azimut 55S boasts many features of much larger luxury Azimut motor yachts in small. 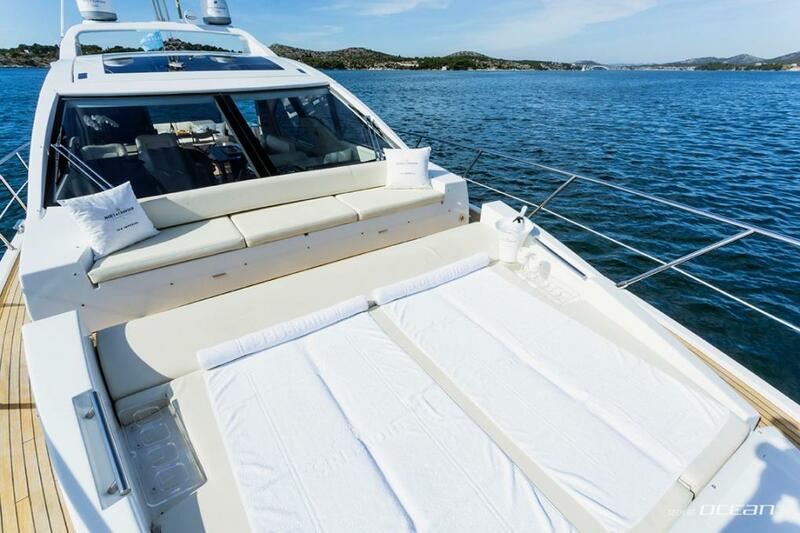 With special equipment like individually controlled air condition, power generator and water maker guests will find all needed on board for independent cruising as well as overnight stays on free anchorage should be preferred. 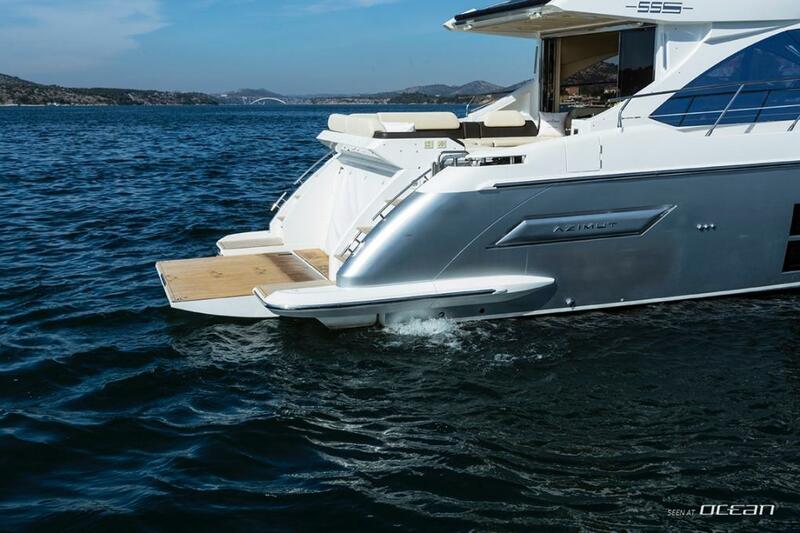 When it comes to other special equipment, we have spared no expense and loaded our motor boat Azimut 55 S with audio-visual entertainment systems comprising pop-up LED-TV, Bose speakers throughout, BluRay as well as latest navigation systems. 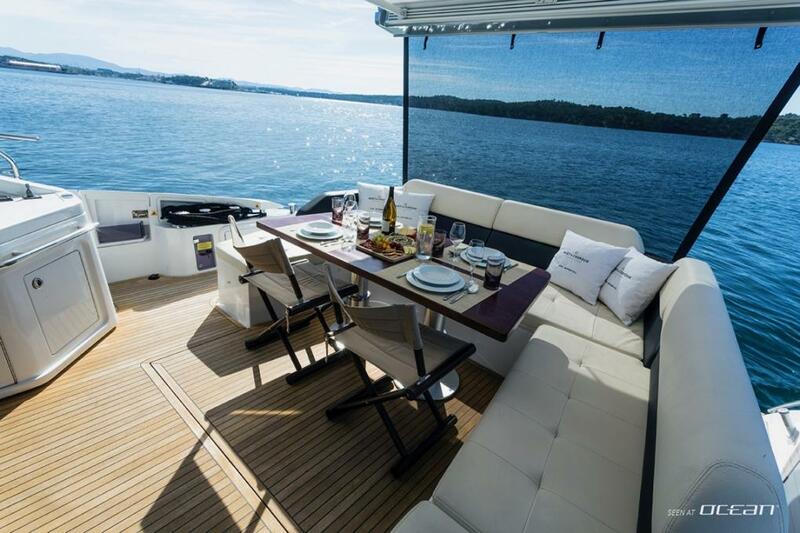 Other features comprise electric toilets, teak, BBQ grill, dishwasher, washing machine and dryer being features usually found on larger motor yachts for rent. 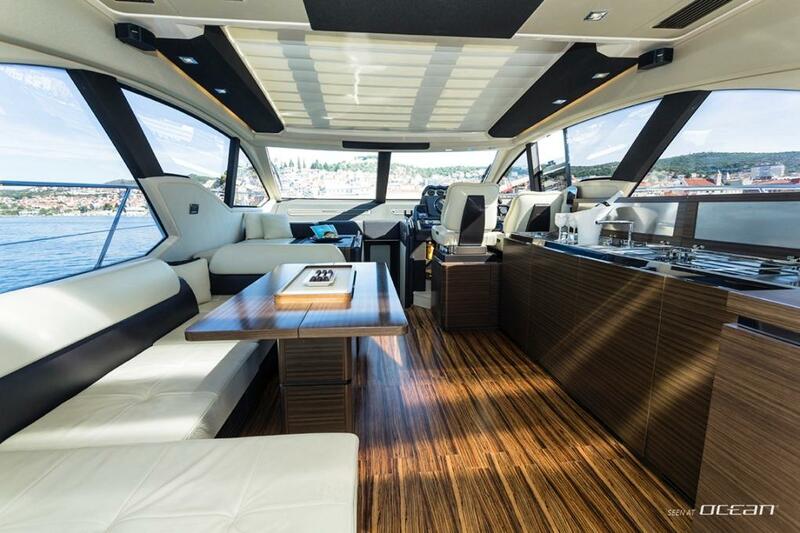 Charter yacht Azimut 55S is not just a pretty face with lots of features. 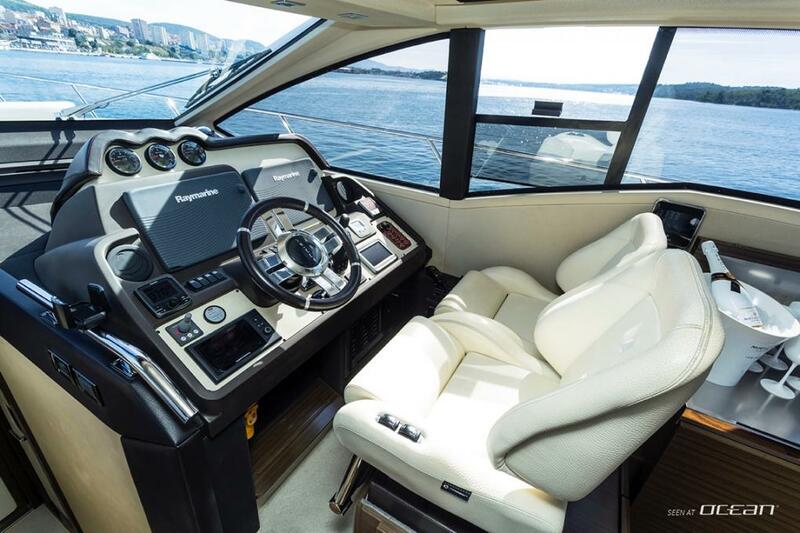 This motor boat stands out with its exceptional handling and maneuverability and joystick controlled IPS engines. 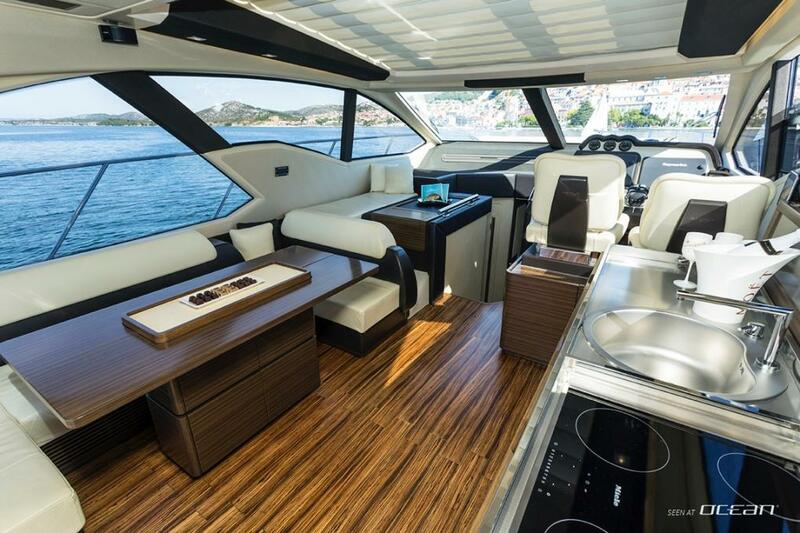 If you add design, beauty and performance and pair this with fun the Azimut 55 S comes with there is also the practical tender garage housing the superfast Williams jet-tender. 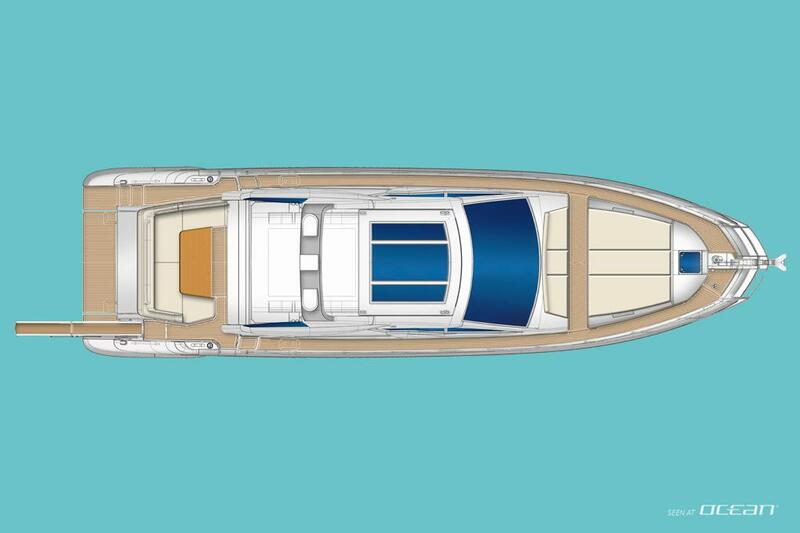 Ideal for water sports the opening hydraulic bathing platform is free from tenders creating an extended beach ideal to dive into the water or to enter the tender safely. 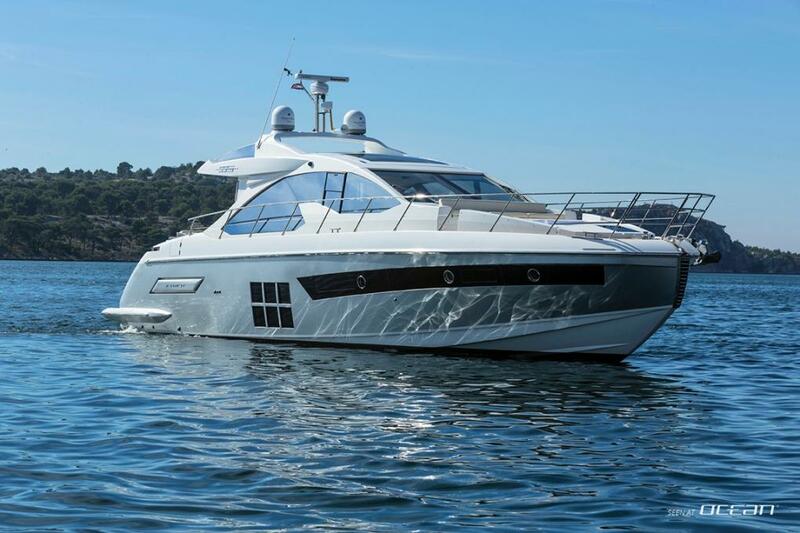 Azimut 55 S for rent in Croatia is available for bareboat charter or crewed with a skipper. 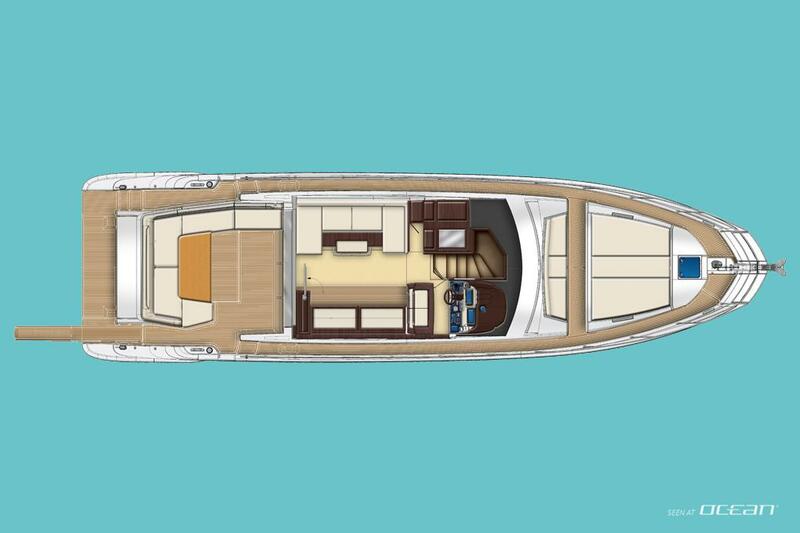 For the latter, the layout comprises a separate single bow cabin with own entrance via the deck. 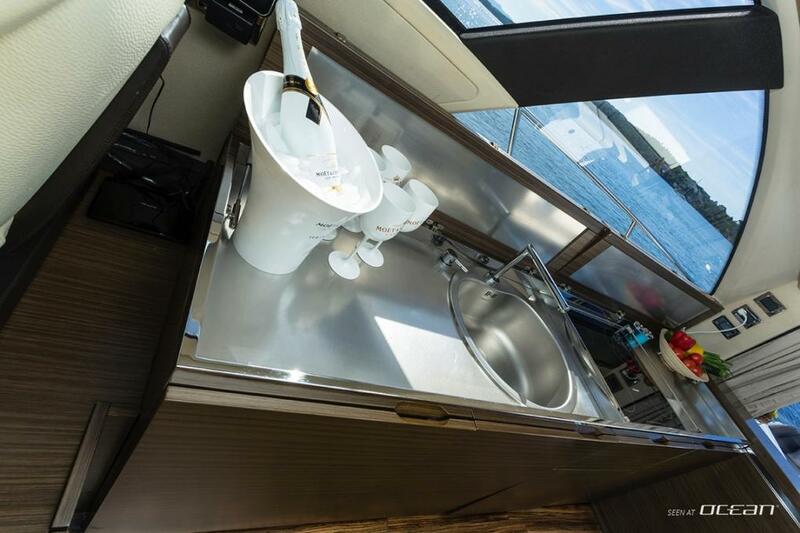 This cabin offers an own toilet for the skipper ensuring guests' privacy. 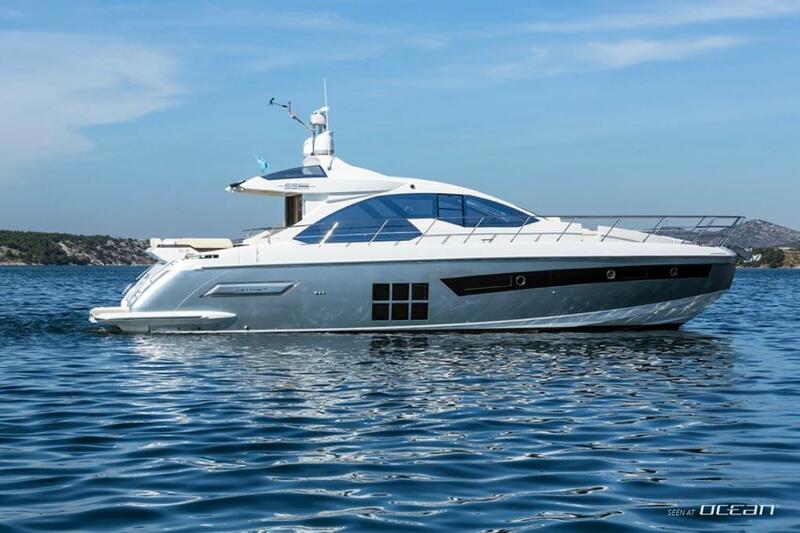 Suitable for 6-8 guests the Azimut 55S is one of the most admirable bareboat motor yachts for charter in Croatia at all. 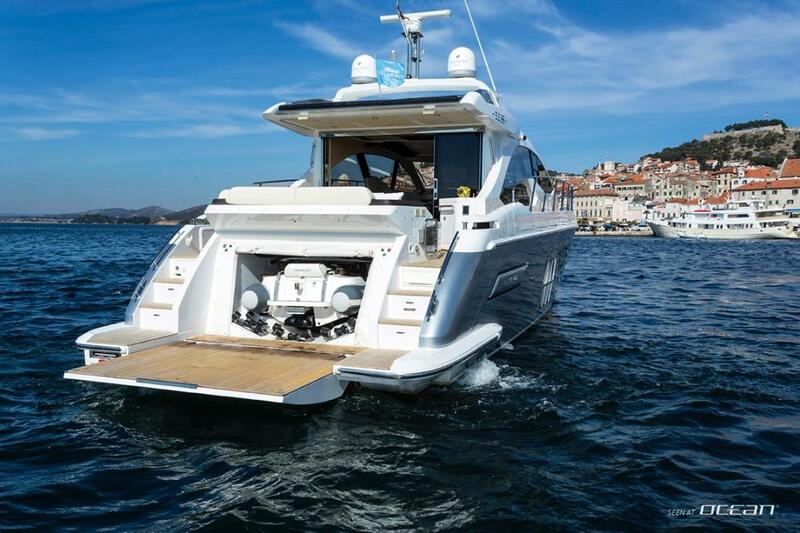 Available from Sibenik in the middle Adriatic close to Zadar and Split airports, this motorboat should be seriously considered by you if you are seeking for a fast, modern, fully-equipped sports yacht without compromises to safety and comfort. 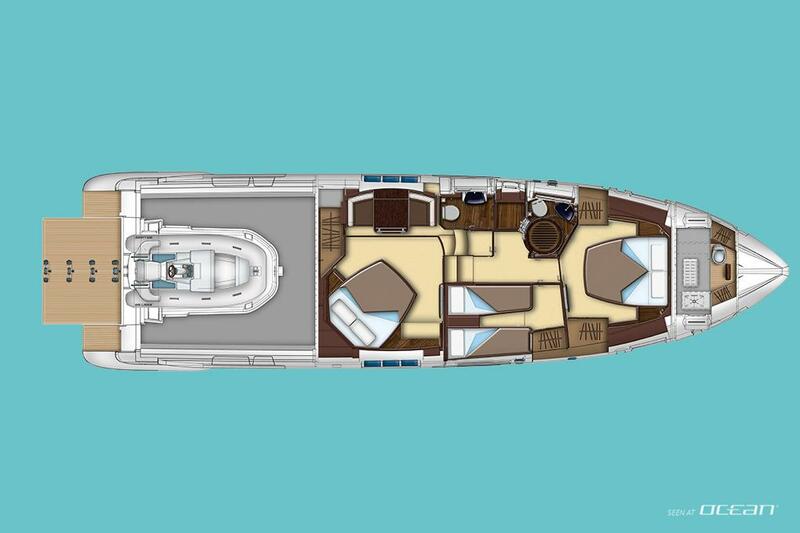 Air condition individually controlled, generator, water maker, bow thruster, LED-TV with lifting pop-up function, satellite antenna, BluRay DVD-player, Bose sound system in saloon, cockpit and master and VIP-cabin, Wi-Fi internet, rudder angle indicator, trim interceptor systems with indicator, IPS joystick in wheelhouse and cockpit, electronic commander in wheelhouse, latest navigation systems with touch multifunctional displays for engine data, radar, autopilot, satellite antenna, electric sky top with sunshade, electric anchor winch, 2 stern winches, cockpit table lowerable for sunlounge, wet bar, BBQ and fridge in cockpit, electric sun awning in cockpit, dimmable lights in cockpit and saloon, teak (cockpit, bow, sidewalks and on bathing platform), wooden floor in saloon and galley, u-shaped couch in saloon convertible into long lounge suitable for one child sleeping, ice maker, electric toilets, complete stainless steel design galley with ceramic glass 4-hob, dishwasher, fridge and freezer, washing machine, dryer, blinds and shades for hatches, guest bathrooms with separate toilet and shower, separate bow single skipper's cabin with own toilet, inverter, speakers, LED on sidewalks, stern/cockpit shower, underwater lights, tender stored in garage and all standard charter and safety equipment.